* We discount your entire purchase. You can combine other products to get a better discount. 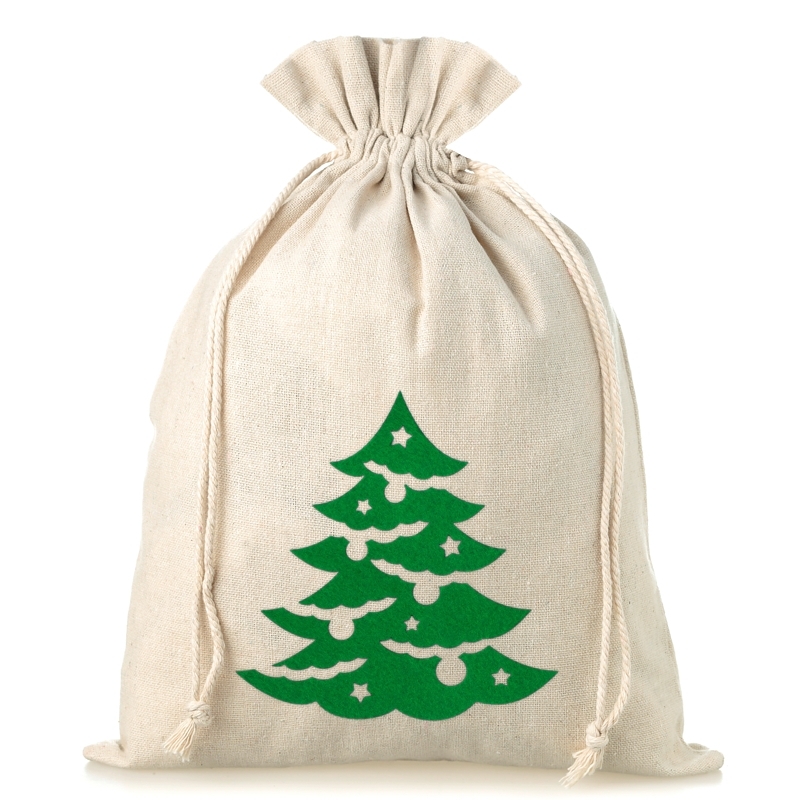 Christmas linen pouch with a size of 26 x 35 cm and a closing made of natural drawstring. Classic linen is characterized by a high reliability and wide range of usages, which is why it can contain nearly everything. 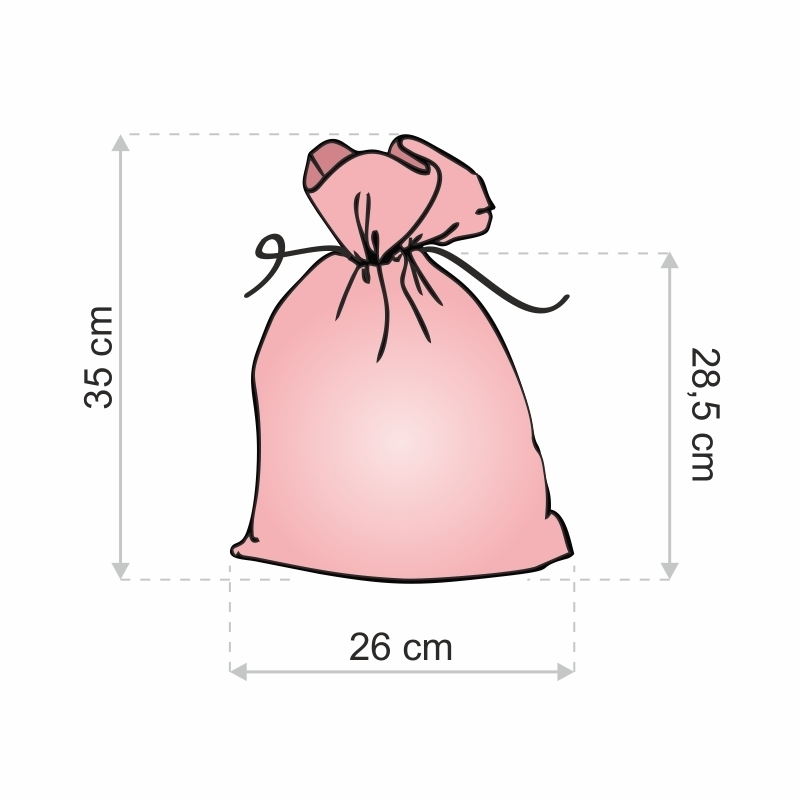 Linen drawstring bags are also very elegant, which makes them a perfect choice for every place, either a cupboard or an official and important events and meetings. Linen is a material that is widely considered a very qualitative one because of the fact that it is a base for many beautiful and expensive stylizations, which makes linen drawstring bags a very good idea for a stylish party or a promotional event. On the other hand, linen is also very practical in the house – it slows the process of drying and secures the inside from the mold, which makes it perfect for the kitchen and other places in the house. Bags with your logo or graphic! Be visible in every aspect of your business! Bags are an excellent advertising medium and an extremely useful everyday gadget! Personalized bags are especially handy when building the company’s image on such occasions as: thanks for the on-going cooperation, Christmas presents and gifts at business meetings. 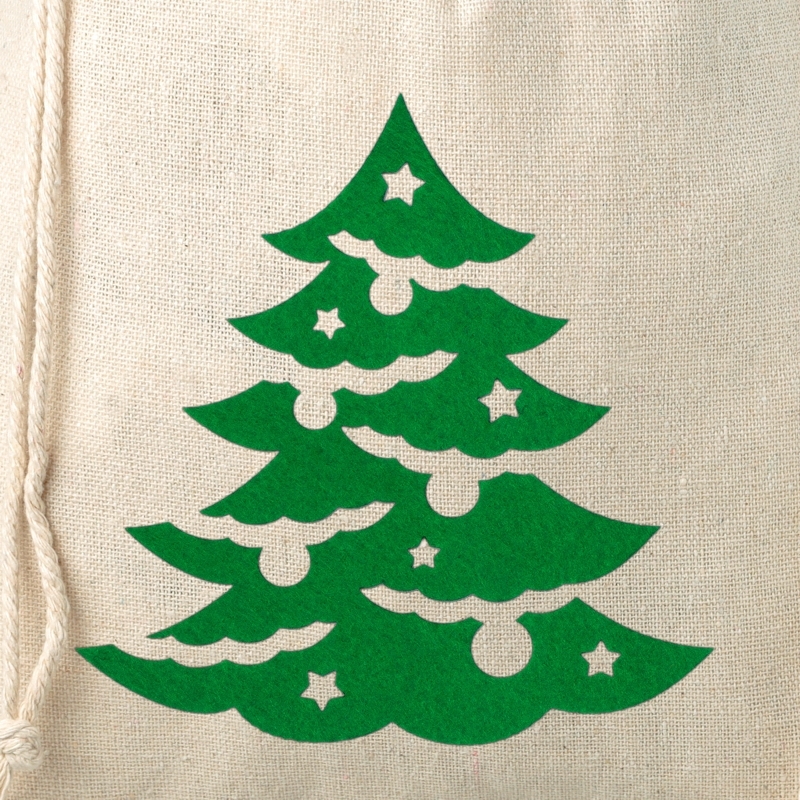 We offer you personalized bags with a selected print or logo of any colour and size of the bag! We guarantee fast realizations and high quality of the customized products. We can produce bags and pouches with any print! Fill in the form and create your unique bag! Dear customer, bags with prints are not everything! We can also produce bags in any size and colour. 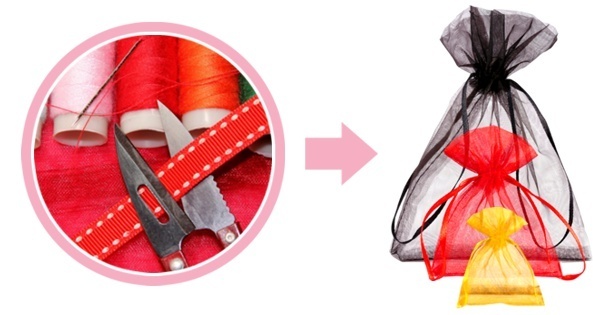 We also offer various types of ribbons and bag bindings. Please provide parameters that interest you in the form. Click here to fill the qucik and easy order form!